Cook the above in a small pot in 1x tablespoon of Coconut oil. Stir regularly so the Cinnamon doesn't burn. Cook about 5-8 mins until Pears start to soften. 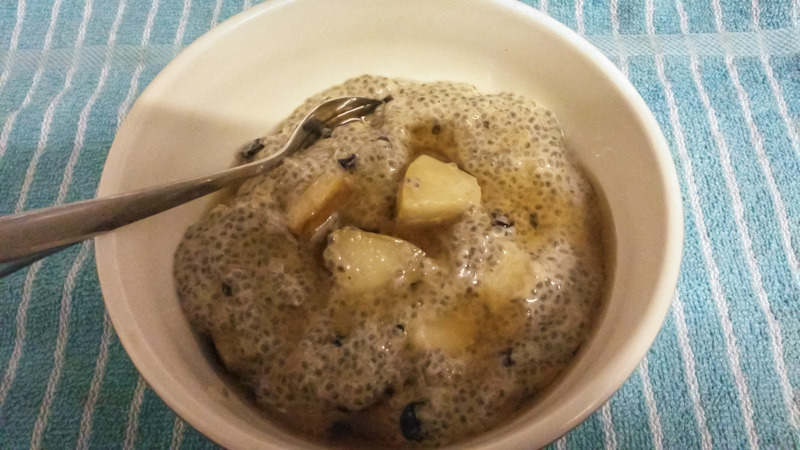 Add 2x tablespoons of Chia seeds and 1/2 c of Milk (of your choice). Continue stirring until thick and the Chia has swelled. I added a good drizzle of SF Maple syrup on top and a little extra Milk. This is seriously delicious, very filling and the total carbs are about 24 gm. A little high in carbs but can certainly be factored into your day. The post was edited 1 time, last by Sherrie: added photo for Chris ( Jun 15th 2015, 11:44am ).